This is the UNOFFICIAL Hammer Films Site. UnofficialHammerFilms.com is ten years old! This site launched exactly ten years ago today, on 12 May 1999. 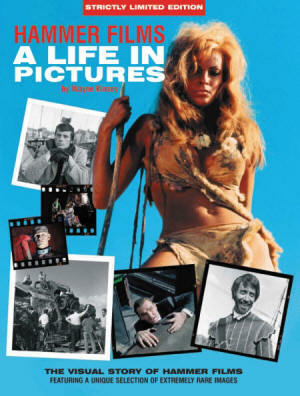 Order now from the Unofficial Hammer Films Shop for less than £24! image ©RJE Simpson 2008. All Rights Reserved. 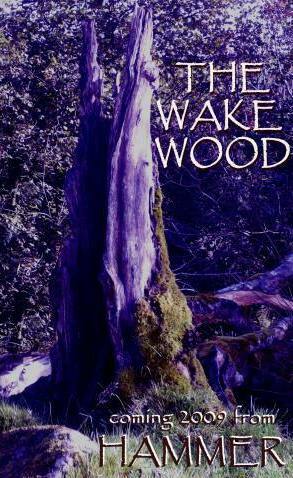 Inspired by the forthcoming Hammer film "The Wake Wood". Please note this is NOT official artwork. 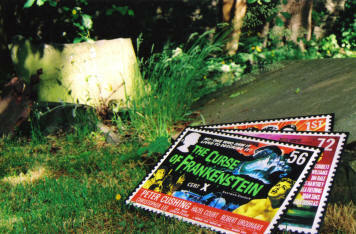 The Royal Mail have issued a special set of commemorative stamps to celebrate 50 years of Hammer horror, featuring original cinema poster artwork for The Curse of Frankenstein, The Mummy and Dracula. The stamps are available for the next year. The first Hammer production since 1983 is now available online for a limited time in its entirety. 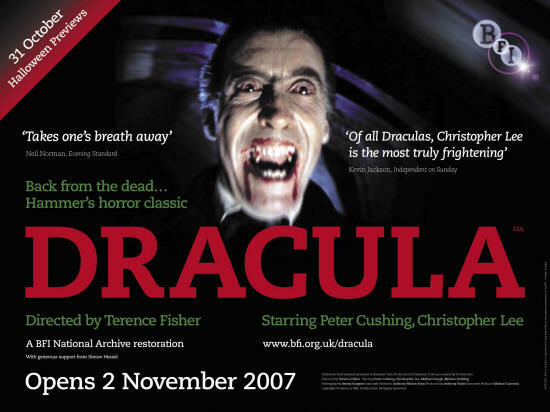 DRACULA - the original Hammer Horror film, now completely remastered and re-released by the BFI. Unleashed in cinemas from 2nd November 2007. Limited Previews on Halloween. Unofficialhammerfilms.com editor Robert Simpson will introduce the screening at the Irish Film Institute on Sunday 28th October. Screenwriter Jimmy Sangster will introduce the screening at the BFI IMAX in London on 31 October. Image courtesy of the BFI. Not to be reused without permission. 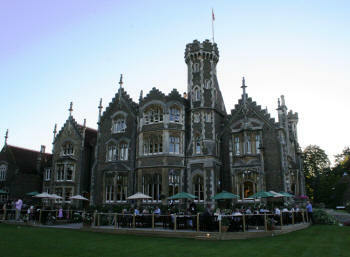 The iconic Oakley Court, Bray. Location for many classic Hammer Horrors, August 2007. 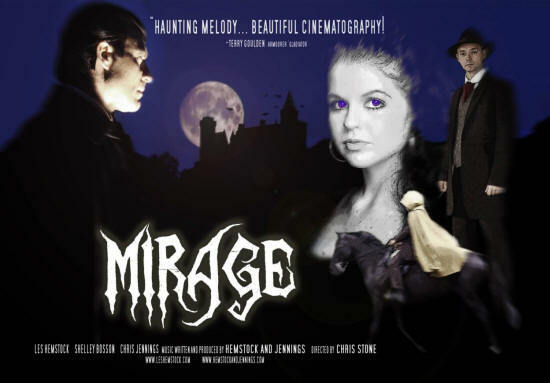 MIRAGE - the superb Hammer horror inspired music video directed by Chris Stone, music written and produced by Hemstock and Jennings. Click on the poster for more information and to watch the video. 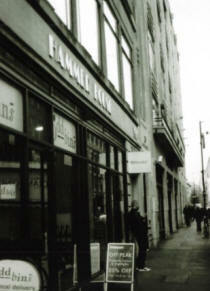 The fabled Hammer House in Wardour Street, London, March 2006. Welcome to The Unofficial Hammer Films Site, and our new domain. After seven years we thought it was about time we got ourselves a Hammer address. Over the next couple of months we'll be updating the entire site, resurrecting a large number of articles which had been lost during previous redesigns. Hopefully the new layout will make things easier to find, and if you have any comments please do email them to hammer@avalard.com. Do please be patient as things settle down again - I'm fitting this in around my day job, and there's bound to be a few gremlins in the works at first! On that note we've altered our initial plan to house the new site at hammerfilmproductions.com as the name was deemed to close to the official website address, and Hammer themselves voiced concern about the move. Thus the unofficial site is to be found at www.unofficialhammerfilms.com - absolutely our new permanant home. Most of the main articles have been moved, and the current news items are now in place. The rest of the news archive will follow during the next few weeks, and the slow process of reformatting the reviews, and reposting them will take place too. The old avalard.com address is still active, but I'm going to allow it to develop with my other projects, and non-Hammer writing. The Camp on Blood Island (1958), Cash on Demand (1963), Creatures the World Forgot (1971), The Damned (1961), Don't Panic Chaps (1959), The Gorgon (1964), Maniac (1963), Never Take Sweets From A Stranger (1960), The Stranglers of Bombay (1959), Sword of Sherwood Forest (1960), Taste of Fear (1961), Terror of the Tongs (1960), and Watch It Sailor (1961).